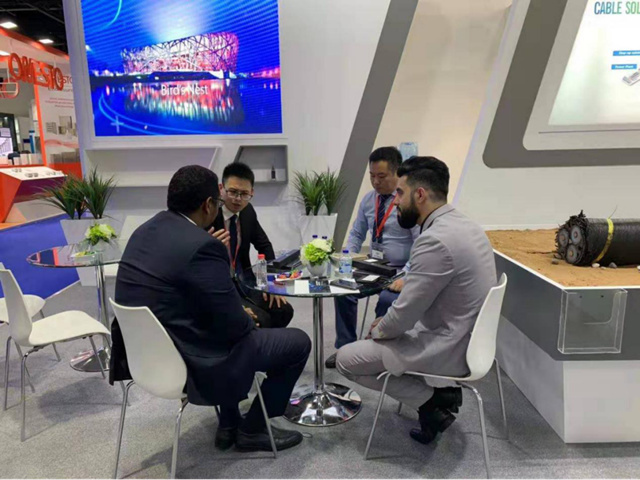 From March 5 to 7, 2019, Middle East Electricity (MEE) was held at Dubai International Exhibition Center, United Arab Emirates. 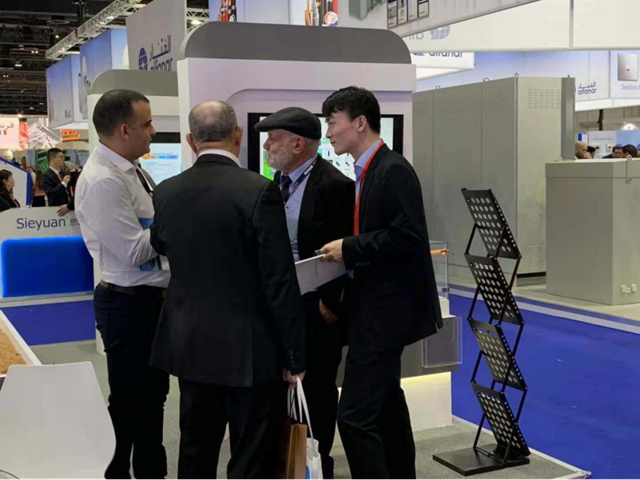 As the world's leading provider of energy-connected system solutions, Hengtong has participated in the exhibition with a wide range of solutions to sustain the Middle East energy market, and vigorously promote power and new energy products and systems solutions, and contribute energy connectivity in the new future. At present, the government in the Middle East and North Africa has increased its investment in the electricity industry. A cumulative $302 billion will be invested over the next five years to meet growing electricity demand, of which $179 billion will be used to expand 138GW power generation capacity and the rest will be spent on power transmission and transformation infrastructure. It is estimated that GCC countries will invest $81 billion over the next five years to expand 62GW capacity, and $50 billion will be spent on power transmission and transformation. 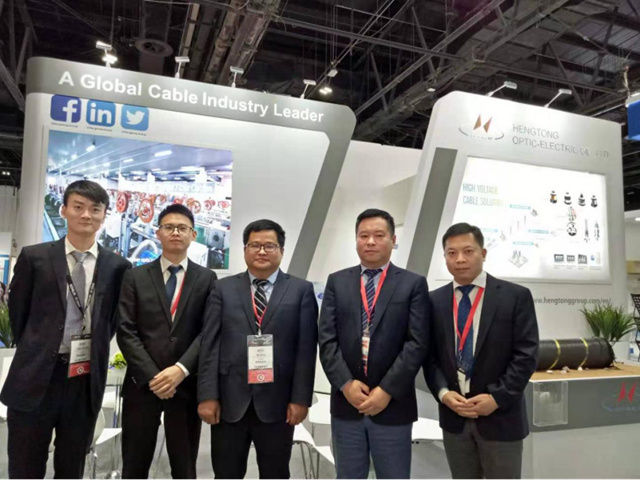 In the face of the vast market demand in the Middle East, Hengtong highlighted the global competitive ultra-high voltage cable products and solutions at this exhibition, Meanwhile, Hengtong also exhibited solutions such as offshore engineering cable, oil platform cable, ultra-high voltage land cable, wire, offshore wind power, and EPC turnkey service, displaying its comprehensive strength as a global energy service provider and attracting customers and experts to discuss and exchange ideas. 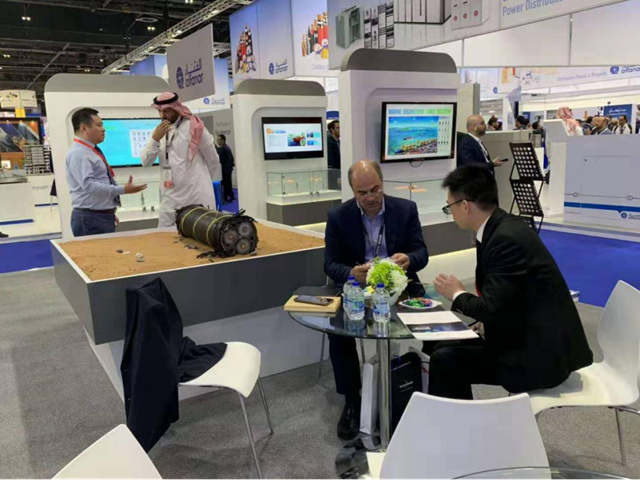 Hengtong has achieved continuous supply of electricity, telecommunications and other types of products in the Middle East and Africa market, and has won a number of power products in the region, such as OPGW products of Oman OETC and EETC high-voltage land cable products in Egypt. Hengtong has made good achievements in expanding the Middle East market. In the future, we will continue to cultivate the Middle East and Africa market. We will continue to expand and make new breakthroughs. The Middle East and North Africa are transforming to use renewable energy. Some countries have set the development target of improving the renewable energy generation upto 20% or more by 2030. Hengtong seized the opportunity in a timely manner to actively move towards solar and wind power projects, and strive to accelerate the business development process in the Middle East and North Africa region in the area of new energy. For press release services, please email us at english@c114.net.cn. Copyright© 2014 C114 All rights reserved.